Spring is in the air, the bees are buzzing and the birds are singing. The flowers are looking beautiful and so can your home with this Spring cleaning routine to keep your house in tip top shape! -Vacuum floors (should be done every three to four days depending on number of children and pets). 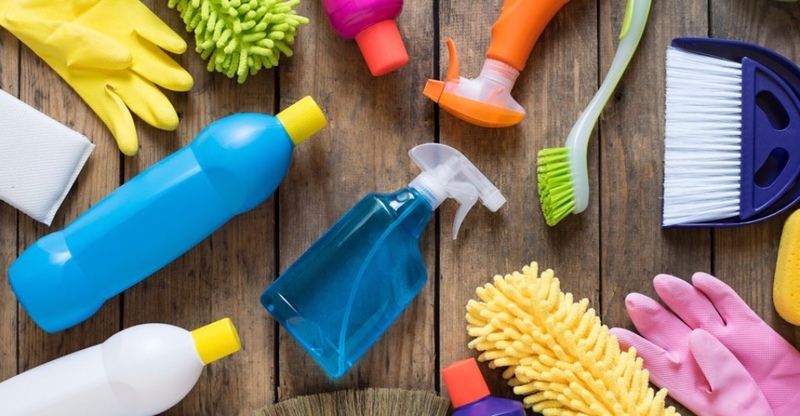 -Sanitize kitchen and bathroom floors. -Put a bleach-water solution on door handles—more often during the sick season. -Vacuum ceilings for dust and cobwebs. -Clean the inside of your microwave. -Dust all baseboards and moldings. -Reorganize and clean out closets and draws of unworn clothing and donate what you can. -Remove all sofa cushions. Vacuum pillows, fluff, replace pillows and vacuum entire sofa as well. If your cushion covers are removable, remove and wash the covers before replacing. If not, you may spot treat them for stains. -Remove and clean all blinds and curtains. You can launder curtains, and dust and wipe blinds. -Go through kitchen cabinets, trash anything old, and wipe off the shelves. This should also be done in the bathrooms. -Empty refrigerator and clean the shelves, walls and drawers. -De-clutter and get rid of anything you haven’t used in six months to a year.